15 years application and database development. 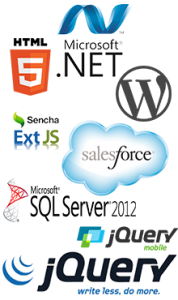 Datawin Consulting specializes in Business Intelligence with an emphasis on Salesforce.com/Force.com, SQL Server, .NET, Analysis Server, .NET MVC Framework, and web and mobile web development technologies. I want to help your business save money or make money through technology. Whether it is by understanding your data better, improving your process efficiency, or connecting with your customers. Kenny is an incredibly valuable colleague. He is exceptionally smart, thorough, friendly and very easy to work with, I enjoyed very much while working with him. He is a visionary technologist with the ability to communicate and win support for his ideas as well as the execution skills necessary to bring them into being; he always has his antenna out into the latest technical technologies. Very quickly he can scan and capture the essence of the latest innovations. When he focuses on a given technology, he can grasp and master the subtle nuances of it. Kenny exemplifies the best qualities of a top developer: outstanding technical knowledge, understands the business needs, offers innovative solutions within the project constraints, fantastic to work with, a great communicator, and readily adapts to changing requirements and priorities. Kenny’s stellar work makes me look good as a project manager. If I were to create a project team with the most talented people I’ve ever worked with, Kenny would be one of the first selected. I have known Kenny for some time now. Kenny’s professionalism is outstanding. 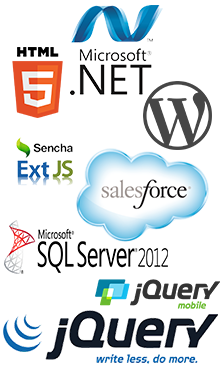 He is very knowledgeable in many of the processes in software development. However his skills as a DBA are above par. I would use Kenny again without question. I would personally recommend anyone who is looking for great value with attention to detail. www.textbooklook.com – Both a responsive website and a stand alone phone app that allows book dealers to buy textbooks at steep discounts during the off season and then re-sell them for increased profits during textbook season. The marketing site was built using WordPress and the web app was built using MVC .NET. The phone app was built using phonegap. www.discountupccodes.com – Designed to allow Amazon resellers a quick “get in, get out” way off buying cheap UPC codes. I built the site with WordPress and in additional created an MVC .NET webservice to handle the processing and emailing after the paypal transaction completes. www.strhelper.com – Allow cities to management their short-term rental licensing.